This trend is all about adding layers & texture to a garment, through knots, twists & ties, to manipulate the look of a classic garment. Fabrics with a weight or a certain stiffness are best here, as they allow for more extravagant silhouettes & creative sculpting of the fabric. This is quite a unique look, so if you can't find anything like this, try manipulating simple garments yourself, to create something much more memorable! 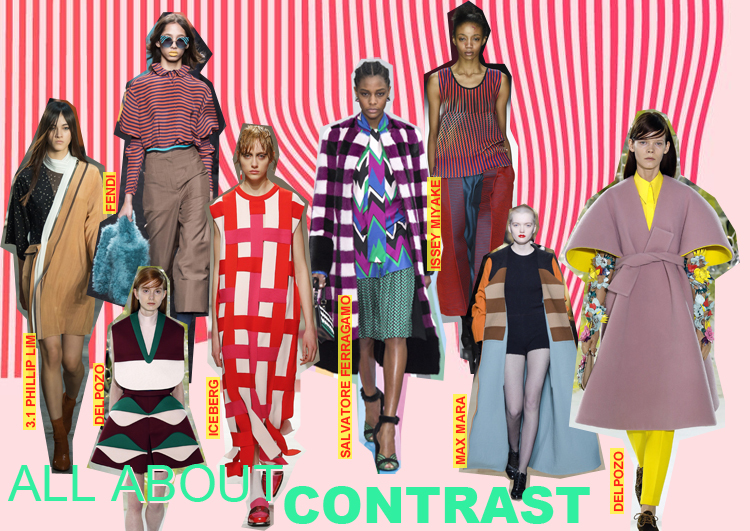 Colour blocking is always a fantastic way to demand attention. Either go for a fierce contract, such as the yellow lining at Delpozo, or try juxtaposing very similar colours, such as bright pink & red, that fight for the attention, like at Iceberg. Or if you feel particularly daring, pick colours that feel uneasy on the eye when placed together, such as at Salvatore Ferragamo. Want even more of an impact? Then throw in a strong print too! 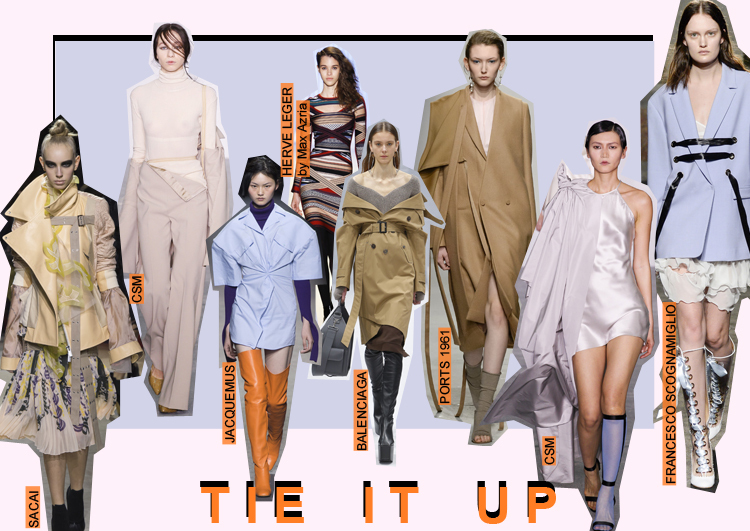 Unlike some of the bolder trends this season, this one has a much softer appeal to it. Chiffons, silks & light weight fabrics are key here, with feminine shapes & delicate drapery. 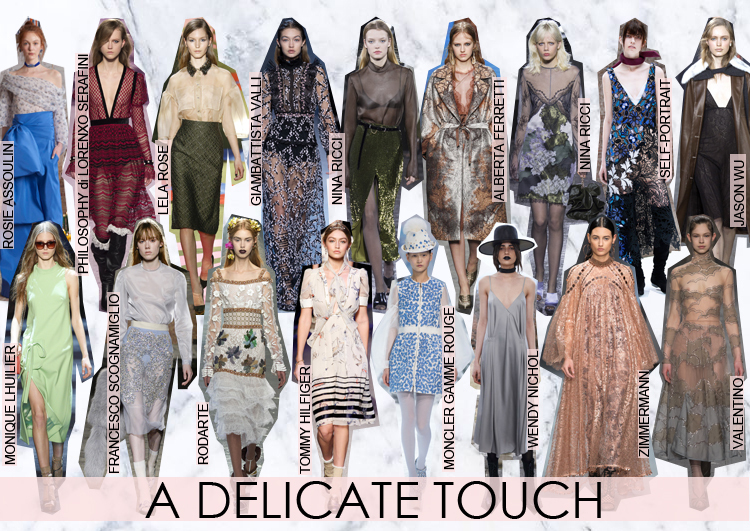 This is all about a gentle beauty & a floating silhouette. This is all about creative styling. 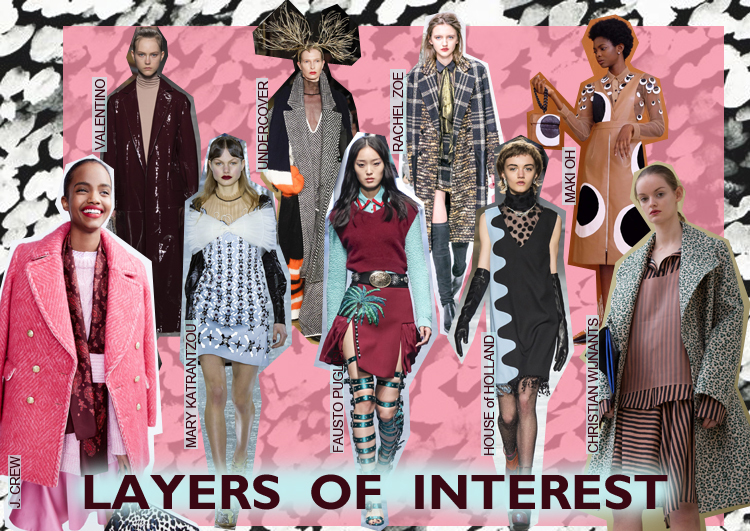 Instead of choosing a single garment, the interest comes from layering a garment in an unexpected way. Try mixing weights of fabrics, contrasting colours & mixing textures, to create an outfit has so much detail, the eyes won't know where to look first. Rachel Zoe's & Mary Katrantzou's layers work particularly well as they've mixed textures, colours, prints & fabric weight, to create a unique & intriguing look. 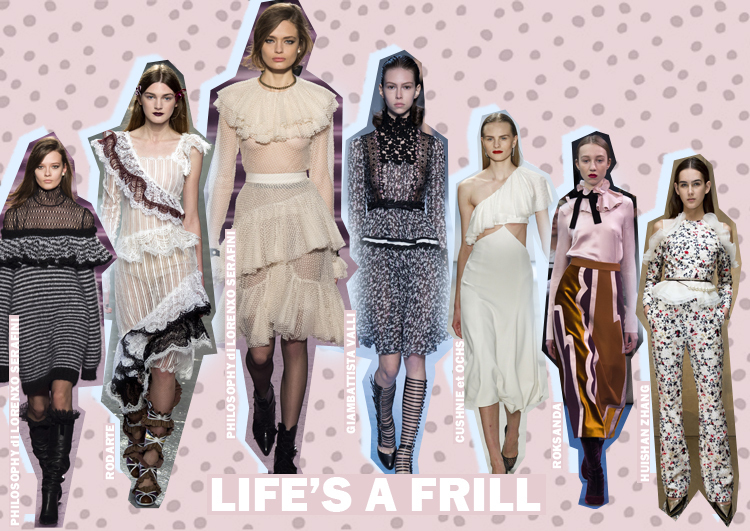 Another trend carrying through from summer - the frill. This season it has been developed into both thicker & thinner styles - with a chunky knit frill at Philosophy di Lorenxo Serafini & a delicate lace & tulle frill at Rodarte. Loungewear comes in many styles this season - from an evening's sultry slipdress to silky smart co-ords. 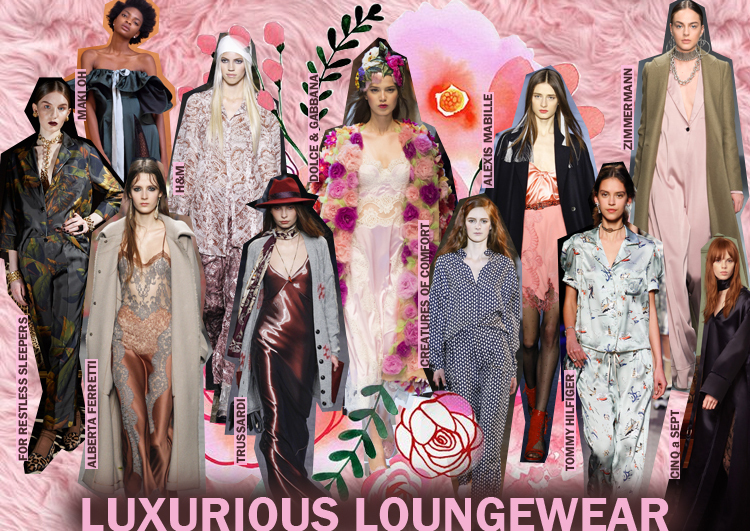 In the season where all we want to do is snuggle up in our PJ's, fashion has found a way to bring that comfort & that sexiness out from the bedroom. Relaxed. Sporty. Effortless. With bold colours, skimpy cuts & supposedly fuss free styling, this trend is about capturing the essence of what it is to be young, free & confident.